Not a garlic fan? Just reduce the amount of garlic or omit it all together. This casserole will still be delicious. 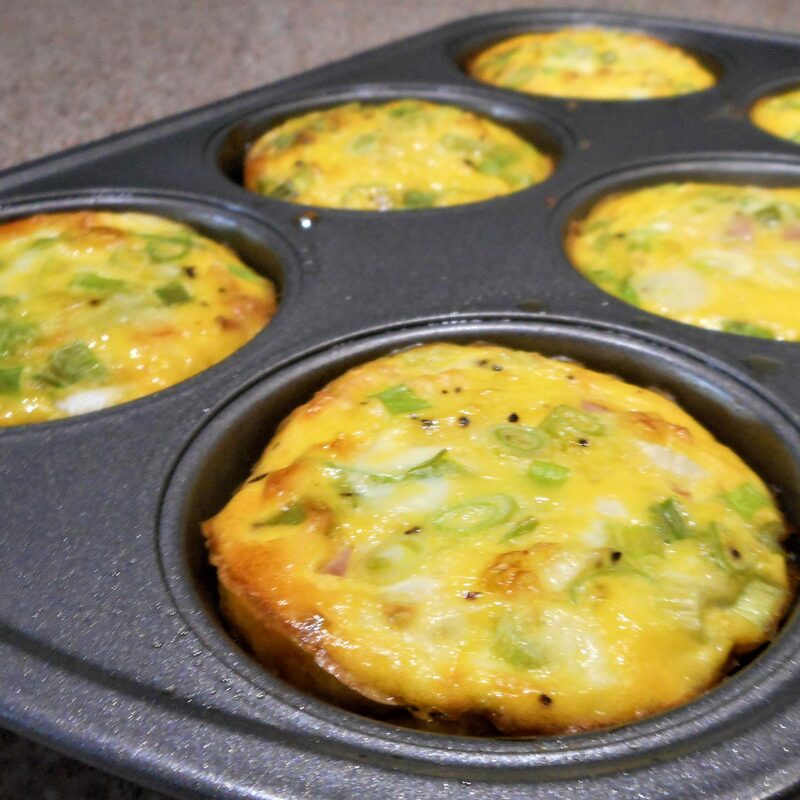 Individual portions can be baked in muffin tins and freeze well for a quick breakfast or snack. 1. In a medium saucepan, bring the first 6 ingredients, water thru cayenne pepper, to a boil. 3. Add 2/3 cup of the cheese and the garlic, stirring well, and remove from heat. 5. Let the grits cool uncovered for 10 minutes, stirring occasionally. Stir in 2 of the eggs. Pour the mixture into a lightly greased 9″x13″ baking dish. 6. Bake the grits crust for 20 minutes. 7. Meanwhile, stir together the remaining 6 eggs and 1/2 cup milk with an additional 1/2 tsp salt and 1/4 tsp pepper. 8. 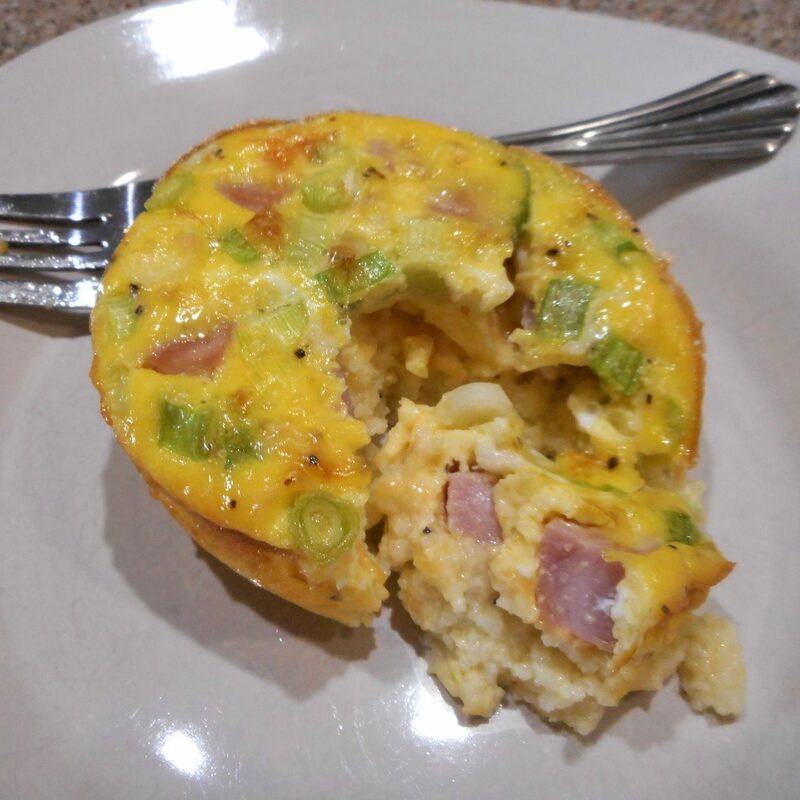 After 20 minutes, remove the crust from the oven and sprinkle evenly with the remaining cheese, ham, and green onions. Gently pour the egg mixture over the top and return the casserole to the oven. 9. Bake for an additional 30 to 40 minutes, or until just set.